RepHresh vaginal gel relieves such vaginal symptoms as itching, odor, and irritation. It works by establishing a healthy vaginal pH making it difficult for harmful bacteria and yeast to grow and cause infections and unpleasant vaginal symptoms. In this article, I’ll take a close look at this vaginal gel to help you decide if RepHresh vaginal gel is the right product for you. RepHresh Gel comes with 4 applicators filled with gel. The gel contains Polycarbophil. Studies show that this ingredient helps lower vaginal pH and maintain it on the healthy level for up to 80 hours, so it could potentially be used to help prevent and treat bacterial vaginosis. A 2004 study looked at how the gel can improve vaginal help on a group of 14 pregnant women. The gel managed to improve vaginal pH in 10 out of 14 women reducing their risk of developing vaginal symptoms. It’s the most popular gel of this kind on Amazon with 76% of 4 and 5-star reviews. RepHresh vaginal gel is supported by clinical studies which show that it’s very effective in preventing and treating symptoms of bacterial vaginosis. The consistency of this vaginal gel is not runny or messy which allows you to use it whenever you want, not as most gels which can only be used before going to bed as they may leak. RepHresh vaginal gel is a safe choice for menopausal women. However, if you’re pregnant or breastfeeding, consult your doctor before you start using it. This gel does not produce any side effects and it doesn’t interact with medications. However, it can occasionally cause an allergic reaction. If you notice any worrying symptoms after using the gel, discontinue use and seek medical help if necessary. I don’t like the fact that this product contains glycerin. Glycerin has been linked to yeast infections as it breaks down into sugar. Some women experience vaginal burning after inserting the gel. This sensation should disappear within a few minutes. If it doesn’t or gets worse, make sure to see your doctor as soon as possible. It’s got 12% of 1-star reviews on Amazon. Most women complain that the gel made their vaginal discharge worse and that the applicator is uncomfortable to use. 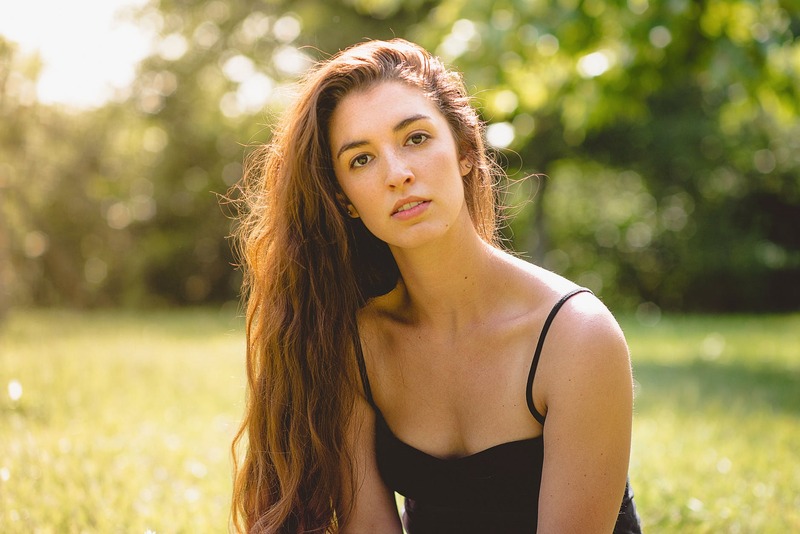 Some users didn’t experience any improvement in their symptoms while using RepHresh gel, but it may be because they were suffering from some kind of STD and not bacterial vaginosis or yeast infection. 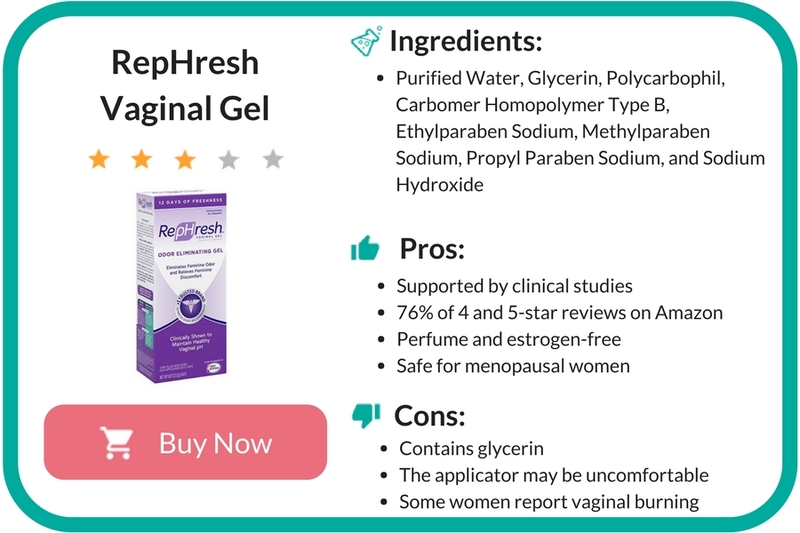 RepHresh gel is a good option for women who want to get rid of vaginal odor and itching. However, if you’re suffering from bacterial vaginosis or a yeast infection, the gel may not be enough to treat it. You’ll have to use OTC medications or consult your doctor to get properly diagnosed and treated. Also, I don’t recommend this gel for women who tend to suffer from vaginal yeast infections, in that case, it’s much better to use IsoFresh Balancing Vaginal Gel instead. Have you ever tried RepHresh Vaginal Gel? Did it work? Please share your experiences and questions in the comment section below.